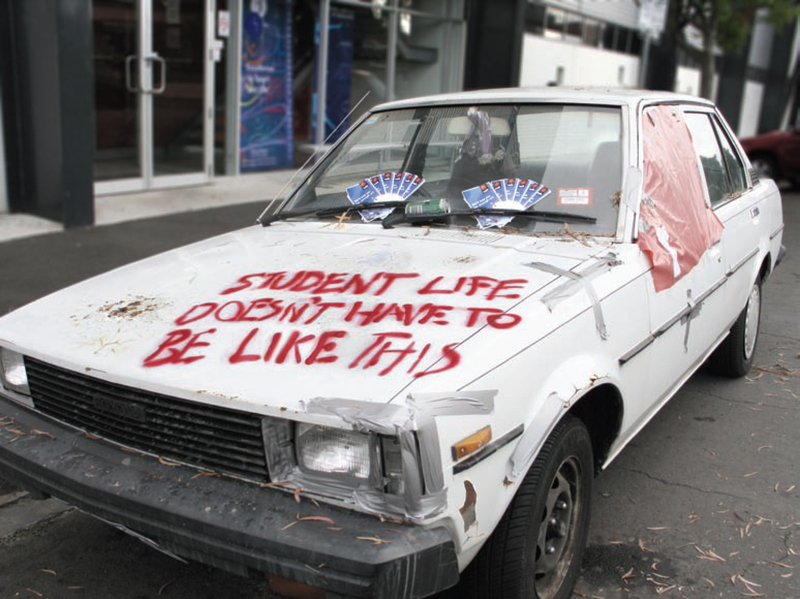 National Australia Bank’s advertising campaign designed for tertiary students was launched during O Week (Orientation Week). I have two tertiary students living at home at the moment – they’ve realised that life doesn’t need to involve too much hardship are staying close to the good life, without the help of a bank! 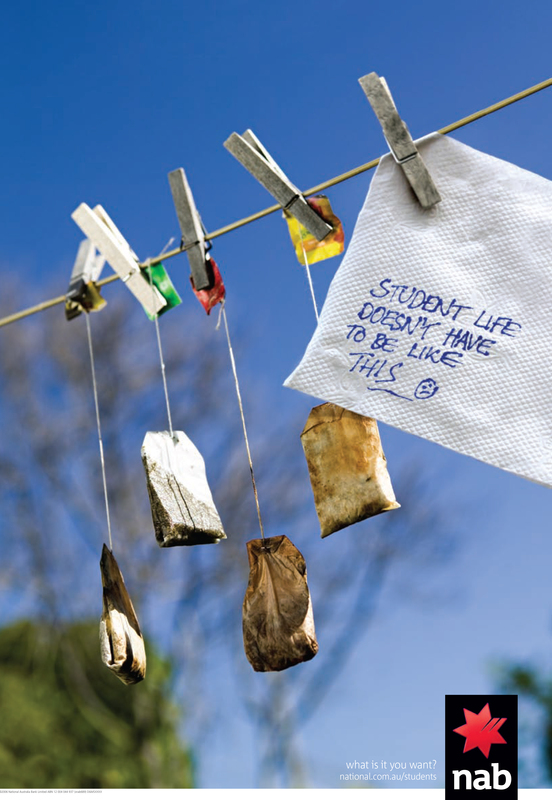 However, that leaves us the parents with the challenge of making those teabags go the distance. 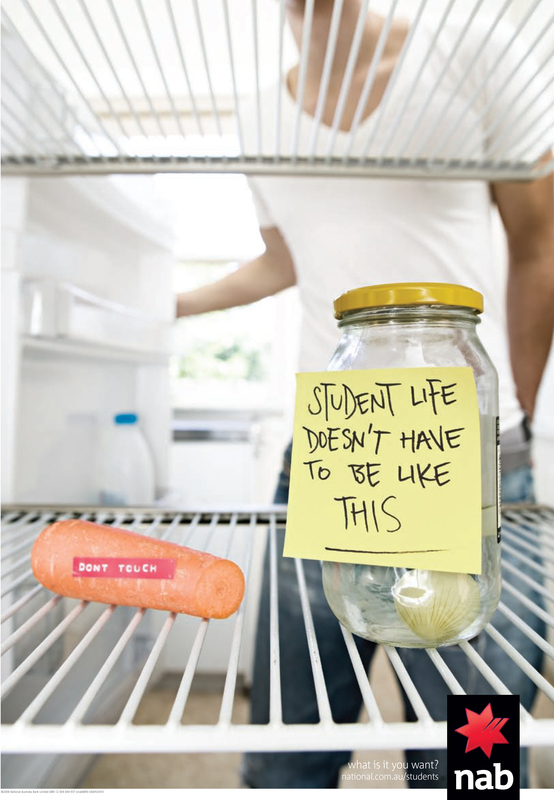 The Student Life campaign, designed for Orientation Week, was developed at SEE, Melbourne, by creative director John Douglas, Pat Baron, art directors Tian Murphy and Nick Sawyer, copywriters Tom Jackson and Kerri Freeman, with account service by Christian Vasquez and Sacha Leyland. 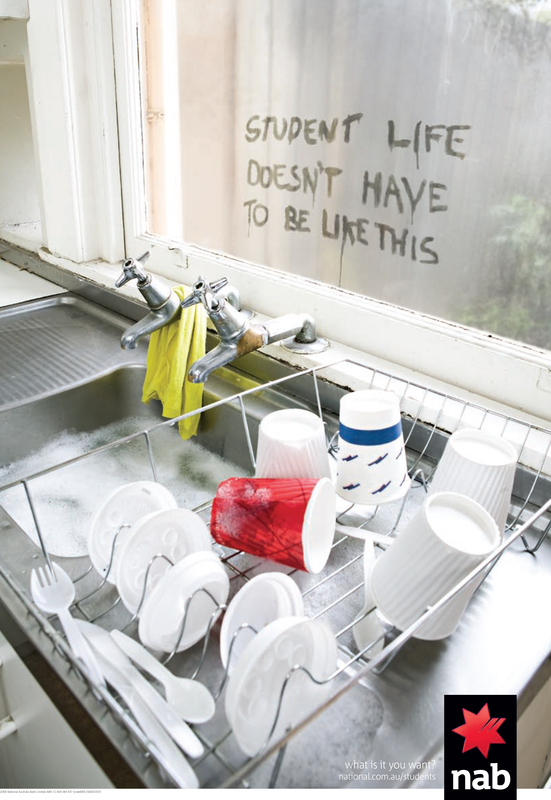 Photographer was Scott Newett at Katapolt.